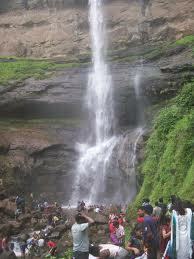 Zenith Falls, Khopoli is very close to Lonavala’ s Waterfalls so many travellers may me seen here during monsoon. Zenith falls are very heavy in comparision with other falls, if you expect to just wet yourself with trickles, then this isn’t the spot for you. Khopoli is a 30 km ride from Panvel on the Old Bombay-Pune Hihgway. Check for the directions at Khopoli and turn off the highway after the bus stand. It is named so because of the near by Zenith company. It is 5km away from khopoli railway station.You can esily get an auto from there. 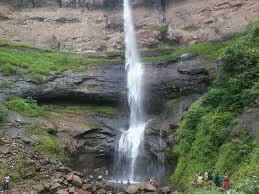 Bhandardara is a holiday resort village on the western coast of India. 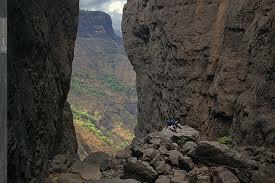 The village is located in the Ahmednagardistrict of the state of Maharashtra, about 185 kilometers (115 mi) from Mumbai. Bhandardara sits by the Pravara River, and is a blend of natural beauty, waterfalls, mountains, tranquility, greenery, invigorating air and pristine ambiance. 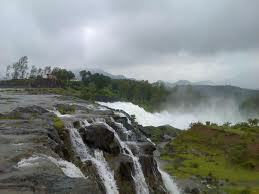 The Bhandardara Lake and the Randha falls are major tourist attractions. Bhandardara is full of attractions – from Wilson Dam to Arthur Lake. As legend has it, Shri Agasti Rishi meditated here for a year, surviving only on water and air, pleased with this display of devotion, God came down to Earth and blessed Shri Agasti Rishi with a stream of the Ganges river, which is now known as the Pravara River. 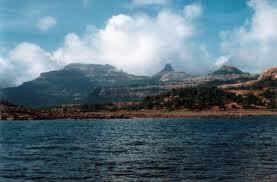 Bhandardara Lake is also known as Lake Arthur Hill. The Lake was formed by the dammed up waters of the Pravara River. It is a major tourist attraction amidst the dense green forest. Shri Agasti Rishi meditated continuously for a year at this place so it has a religious importance too. The clear and placid lake is bounded by thick canopied forests of the Sahyadri hills. The Lake gets its water from the Pravara River as its surroundings offer an enchanting spectacle. The lake was built in 1910. The lake is a reservoir for Wilson dam and is 34 km long. The lake is quiet deep at certain places. Rivulets from the lake rush down 45 m and is known as the Randha Falls. 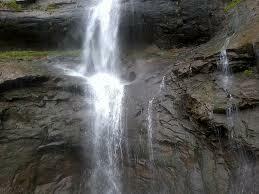 The falls have big implication because it is used for hydro-power generation. 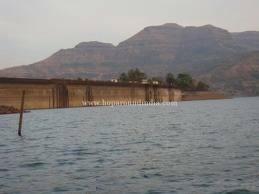 Wilson Dam is one of the famous tourist spots in Bhandardara, which was constructed alongside the Arthur Lake in 1910. This dam has been built on the Pravara River and is considered to be an ideal place for organising picnic. 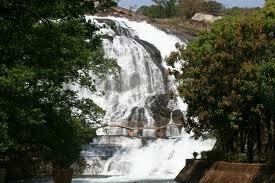 Wilson Dam is situated around 750 m above the main sea level and is famous for the nearby Umbrella Falls. 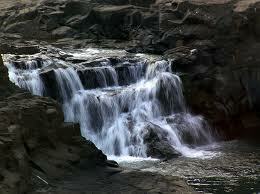 Located at 10 km from Bhandardara placed in the Igatpuri region of the Sahyadris is the Randha waterfalls. Believed to be the third largest fall in India at a height of 45 m. The falls is 11 km from Wilson Dam and is used for generation of hydro-power. The Pravara River plunks 170 ft down into a gullet and creates a breathtaking sight. 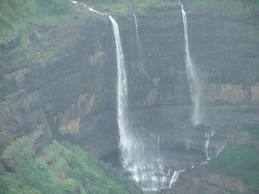 Umbrella Falls is situated at the old Wilson Dam in Ahmednagar District. 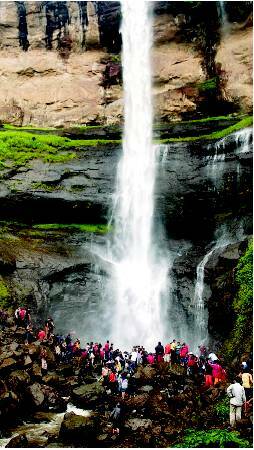 The ideal time to visit the waterfalls is during the monsoon season, when the water level in the Pravara River is the highest. 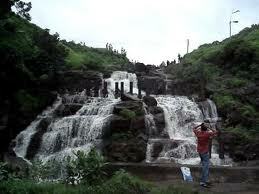 It is a beautiful tourist spot, which is located below the Wilson Dam in Bhandardara. Mount Kalsubai is considered to be the highest mountain peak of the Sahyadri range. This mountain peak is around 1,646 m in height and was used for keeping watch on their enemies during the Maratha rule in the region. Mount Kalsubai is a famous trekking destination which features Kalsubai Temple, Ratangad Fort and Harishchandragad Fort. The Kalsubai Temple houses an old well, where the water level never drops below 3 ft. A religious fair is organised by the locals at this temple, between October and November. 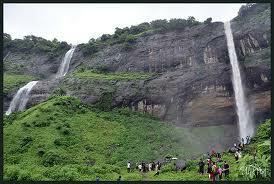 Nearest airport is Chatrapati Shivaji International Airport, Mumbai, which is nearly 185 km from Bhandardara. Mumbai is well connected to all major cities in India and also connected to many cities abroad. Taxi services are the one direct travel possibility from Mumbai to Bhandardara. It costs nearly about Rs 3,500. Nearest Railway station is Igatpuri, which is nearly 35 km away from Bhandardara. Regular state transport road buses are available from Mumbai to Bhandardara. 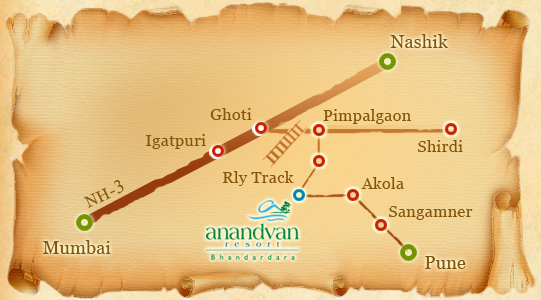 One can also drive to Bhandardara by taking Mumbai – Nasik Road (NH 3) to Ghoti past Igatpuri. 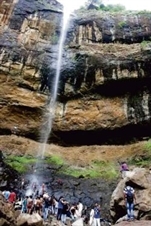 The time to visit Bhandardara is during and just after the monsoon rains (July to September) and again during the winters (October to February).